Sydenham High School launched its 125th anniversary celebrations with a spectacular production of Disney’s Beauty and the Beast including a Gala Reception on the final night for staff, governors and parents attended by the Chief Executive of the Girls’ Day School Trust, Helen Fraser. 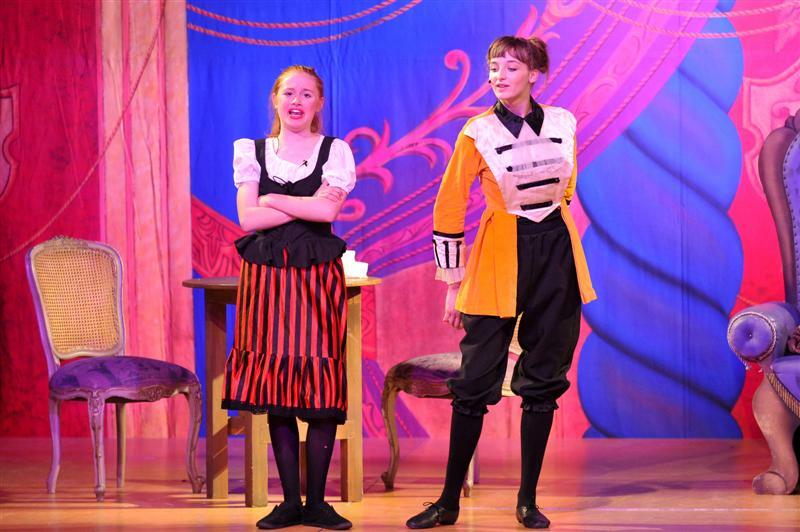 The production showcased the acting and musical talents of girls from across the entire Senior School with the actors supported by the school’s orchestra and chamber choir. Performing ‘in the round’ provided an additional challenge, as the Longton Hall was cleverly transformed into a castle, village square, dungeon and tavern. It was a real Disney experience, with many of the children in the audience turning up in costumes and able to meet the characters for photos and autographs. Kathryn Pullen, Headteacher, reflected on how the play’s theme that beauty really does lies within was an important reminder to girls’ in today’s image-obsessed world. Belle was truly a Sydenham High girl, taking an admirable stand in favour of reading and learning In the face of Gaston’s assertion that girls shouldn’t read because it might ‘give them ideas’, an echo of the objections faced by the school’s founders.